I’ll admit it. I’m a sucker for Best Of lists and Top 10 anything. I’ll read through a Best Opera of the Year list if I see it. I eat it all up. So when my favorite sites/magazines/bloggers put out their annual Best of the Year lists, I read them religiously, listen and watch samples and vote in their polls. Some years I feel like I have a very vested interest in who tops the lists and I root for my favorites. Something kind of unusual happened this year, though, while I was reading through Pitchfork’s Top 50: I realized I didn’t care. Now, it could partly be because any list that doesn’t include Arcade Fire’s killer third album, The Suburbs, in their top 10 has epically failed (and maybe Kanye’s new album is amazing, but I just can’t work up enough interest to care). But even more so, I realized that 2010 just wasn’t a big year for music, for me. I like to make my top 10 list every year just as much as everyone else, but I realized that I couldn’t do it this time. For one, I don’t think I bought 10 new albums this year (albums that released in this year), and for another, of the new albums I did buy, only a few made much of an impact on my listening habits. Frankly, I’m surprised how much Arcade Fire stuck out for me this year, because despite their solid first two albums, I never gave them more than a cursory listen before this year. Both Rufus Wainwright and Antony and the Johnsons released albums this year, two artists who I love religiously. And while both albums are solid entries, neither has managed to wiggle their way into regular rotation for me (yet; sometimes it can take as much as a year or two before an album really grabs me, so we’ll see). This is why I love Last.Fm. Instead of racking my brain trying to scrape together ten albums that I can say I liked, maybe even embellishing a bit so that my tastes seem hipper, I can just look and see what albums I liked this year. I simply zip over to my album chart and click on ’12 Months’ and I can see exactly what albums I’ve listened to throughout 2010, with a Top 10 (Top 20, Top 50) list already made out for me. 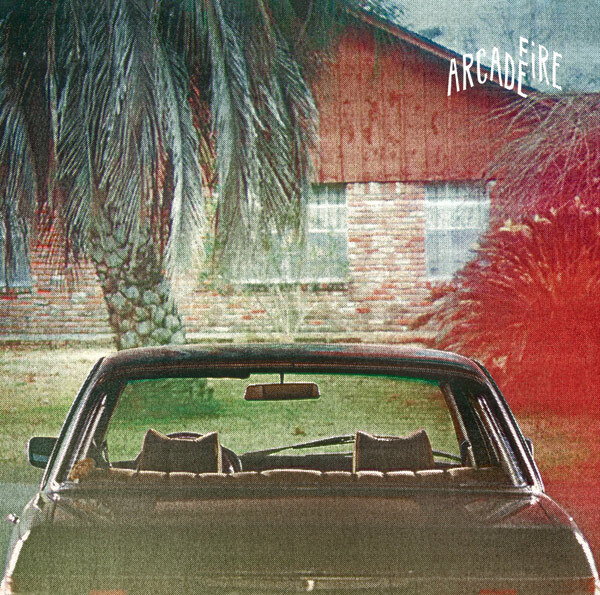 Well, Arcade Fire’s is the only album released this year that even cracked my top 10. Florence + The Machine’s addictive album Lungs is essentially tied with The Suburbs, but it came out smack in the middle of 2009 (I just didn’t get it until this year). Spoon’s stereotypically strong Transference made the top 20 in the kind of unassuming way they have of always hanging around the periphery of my favorite bands, and then Rufus’s All Days Are Nights: Songs For Lulu squeaked in as well. Otherwise, my top 20 consists of pretty well all modern classic albums (Radiohead’s OK Computer, Ryan Adams’s Heartbreaker, etc) and albums I discovered late (Iron & Wine’s The Shepherd’s Dog, The Hold Steady’s Boys and Girls in America). Now, to be fair, the one flaw of making a Best Of list based purely on listens is that albums released throughout the year just don’t have the opportunity to be listened to as much as older albums in my collection. Of course OK Computer is going to have a lot of listens, it’s my all time favorite album and I’ve had years to grow accustomed to it and find all its charms. New albums take time to unravel. I can honestly say that Jónsi’s Go and Sufjan Stevens’s The Age of Adz (and his All Delighted People EP) are in my top 5 of the year, but I just haven’t owned them long enough to earn a high playcount. All the same, looking at the album chart is fairly revealing of where I was throughout this year. It was a hard year, and for that reason, I turned to the comfort of familiar albums quite often, it seems. One interesting anomaly is Ryan Adams’s 48 Hours. It’s an album that was never officially released but dates back to Heartbreaker/Gold era Ryan. It’s a great album and it doesn’t surprise me that it has charted so high, but I do think it’s interesting to have something that was never officially released be my 2nd most listened album of the year. As we’re all making our year end lists and looking back on the past 365 days that has arbitrarily been determined to end and begin January 1st, I think it’s fascinating to examine our past behavior for true patterns, not just tidy Top 10 ready snapshots. So, tell, me, who have you been listening to this year? P.S. And feel free to send me your Top 10 lists, cause I friggin’ love ’em and I’m always open for musical suggestions.